All 995 Moldboard Plows use only one set of bottoms. The front gauge wheels can be adjusted to limit the plowing depth to 356 mm (14 in.). They come equipped with 6.70-15 tires. 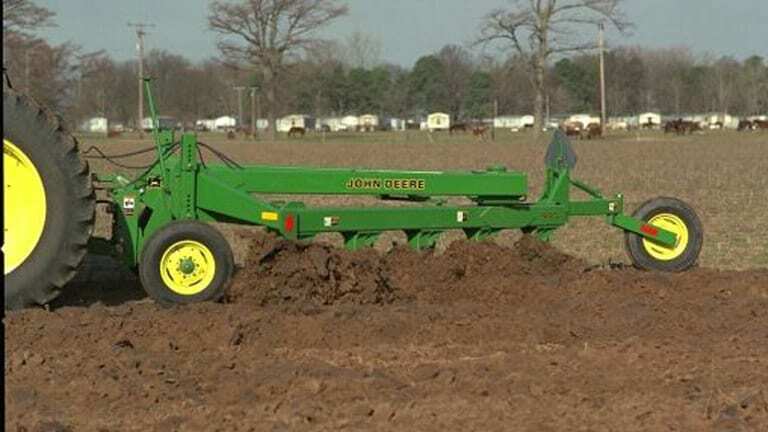 The V-style mainframe of the 995 Moldboard Plow distributes weight for good penetration. The mainframe is made of high-strength 178-mm x 102-mm (7-in. x 4-in.) tubing that is 8-mm (5/16-in.) thick to handle the stress of high-horsepower tractors working in tough ground conditions.